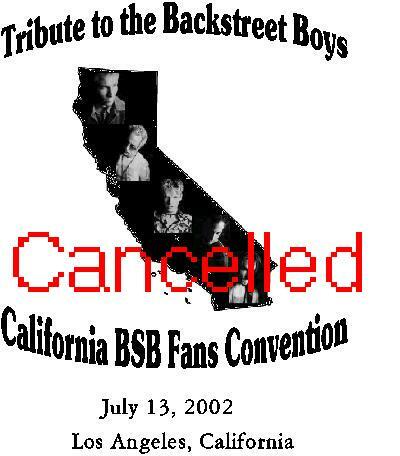 Due to unforseen problems with the charities and money and other such things, the Cali BSB Fan Convention has been cancelled...well more like postponed until an undeterminted date. That's right, we do still want to have this go on, just now is obviously not the time. Keep checking back for updates. "Bandwidth is the amount of data that is used to transfer a member's Web page (including the HTML, graphics, text, sound files, etc.) from the host server to the person viewing the page. If the contents of the page equals 1 MB, and the page is viewed 100 times in one day, the total bandwidth would be 100 MB." The convention website is chocked full of graphics and sounds and all kinds of cool things, so it's no wonder we went over bandwidth! 4/1/02 -- No April Fool's Here! I will forward the info!! We'll just have to cross our fingers about KRYStAL coming. It would be great if she showed up, don't you think? Due to an overwhelming cry of "TOO MUCH! ", ticket prices have been lowered to $40 before June 1, $45 after June 1 and $50 at the door. Tickets are limited to 300. So buy early! Also, games have been set (but are subject to change). PRICES ARE SET!!!!!! If you buy BEFORE JUNE 1, 2002, you'll only pay $50! If you buy ON JUNE 2, 2002 OR AFTER, you'll pay full price of $60. So hurry and buy your tickets now! Email Angie at calibsbfanconv@aol.com. Now, you may be asking "Why so much?" The answer: It's for charity!!!!!!! 3/25/02 -- LOCATION LOCATION LOCATION!!!! WE HAVE A LOCATION!!!!! Angie has been hard at work calling EVERY place she could thing of in LOS ANGELES, CA, and now after many, many, many dead ends, she finally found us a spot to party!!!! It's at the Westin Los Angeles Airport, 5400 West Century Blvd in LA, CA, 90045. It's gonna cost us $2000 to rent, and Angie needs $1000 as a deposit. I'm sure we'll be able to raise that! Ticket prices are still to be set, but they should be set soon. Also we're gonna have Pizza Hut Pizza and soda for us too. So I guess in some strange way, we have a sponsor: Pizza Hut!!!!! We are having a chat (in the chatroom on the website) on Saturday, March 16, 2002 at 10am PST. The Convention has an official website now: Cali BSB Fan Convention. It's maintained by Angie, one of the coordinators. The other coordinators are: Kelly and Ashley.